The Program will increase capacity of civil society partners; expand the network organisations working on gender equality; better position all of our partners to exert greater influence on key areas of government policy; and expand reach among poor women at the grassroots level. 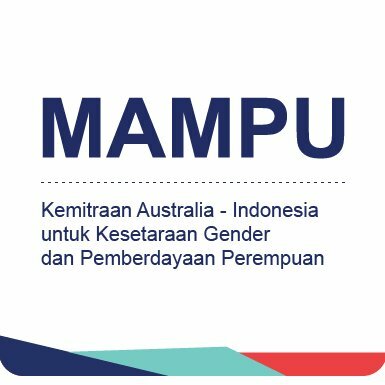 The Program will also harness the work of Phase I to generate policy change that leads to widespread impact for poor women in Indonesia. CKM Officers will make sure that all information, knowledge, achievements and lessons learnt are well documented, organised, packaged, used and distributed to all key stakeholders. CKM Officers will maintain good relationship with key stakeholders such as Bappenas, the Australian Department of Foreign Affairs and Trade (DFAT), MAMPU Partners and other stakeholders. In coordination with Thematic Coordinator, collect information from Partners for documentation, website, newsletters and other knowledge sharing products. Anticipate and act upon any additional communication-related needs as they arise related to her/his designated thematic areas. Open-minded, familiar working with people from various background and a range of organisations.